St. Alban's Episcopal Church: Back from Camp! Well, I am back from Camp Hardtner. 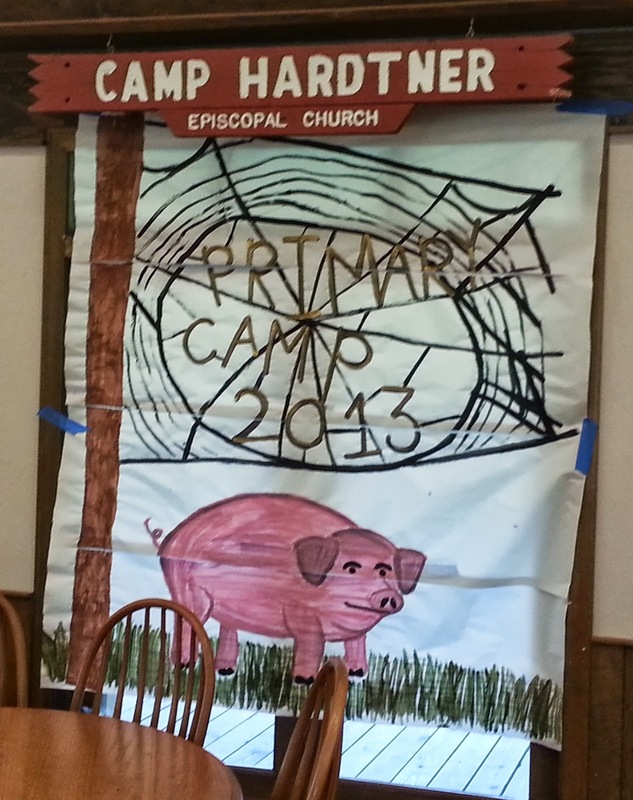 I served as the Dean of Primary Camp this year. Assisting me on Camp Staff, were Ford Jacka, Zonnie (Patterson) Back and Jon Back. We hosted 93 Fourth and Fifth Graders along with the 23 Permanent Staff Counselors (College Students) who work the Camp all summer. Our theme was Charlotte's Web. We talked about the transforming power of Love. It was a wonderful week. Special thanks to Canon Bill Bryant who filled in for me while I was at Camp. I know that you gave him a warm welcome!